I enjoy the frame story of Patrik Hedstrom and Erica Falck in their new life together with a baby on the way, and individually these two are very appealing characters. But the rest of this story is very complex with some basic “fem jeop” craziness (female in jeopardy). Like The Ice Princess, the setting is a small fishing and tourist town in Sweden. The body of a young girl is found along with the bodies of two other girls who have been missing for 20 years. Then another young girl goes missing. The grandson of a large strange local family was the last to see the final girl. This brings her family into Patrik’s spotlight. And they need some spotlighting! There’s old religious superstition – (The Preacher), feuds, affairs, money issues – etc. 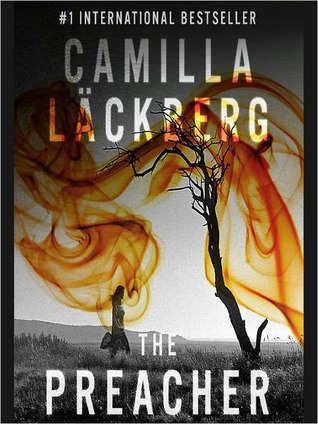 I’m not enamored of the Scandinavian crime books which are the rage but Lackberg is pretty good and I’ll likely read the next in the series.Like The Ice Princess, the setting is a small fishing and tourist town in Sweden. I’m not enamored of the Scandinavian crime books which are the rage but Lackberg is pretty good and I’ll likely read the next in the series.